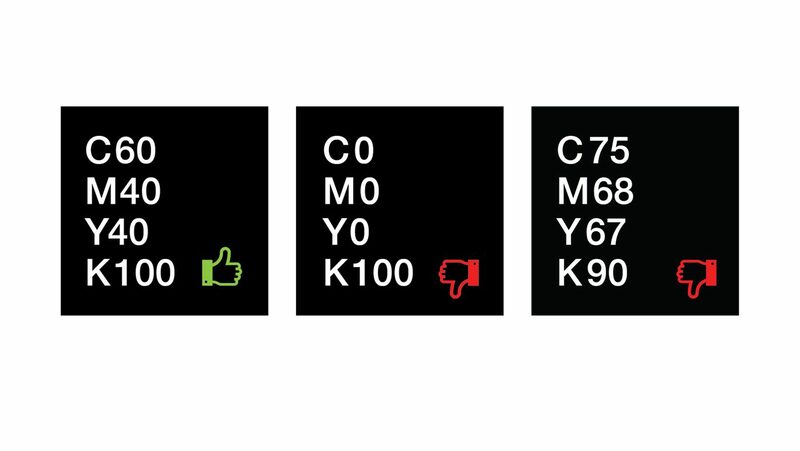 Printing a true or rich black can be tricky, so we’re breaking down CMYK color configurations for our suggested rich black CMYK build and explaining why some of the frequently used black builds are not recommended. The printing industry suggests many variations of CMYK configurations for printing a true or rich black. After a lot of testing and calibration, we’ve selected an arrangement that works best for our printing presses. Using rich black results in a darker tone than 100% black ink alone. 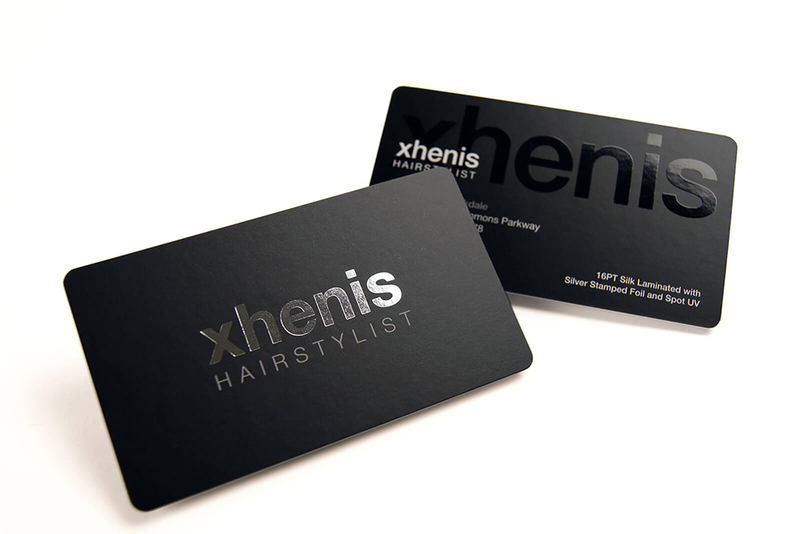 For the best possible results, we recommend a rich black value of ￼C60, M40, Y40, K100 for all printed products. C0, M0, Y0, K100 will usually result in a very dark gray, but not a rich black. We commonly see the default black in Adobe Photoshop used instead of our recommended rich black build. 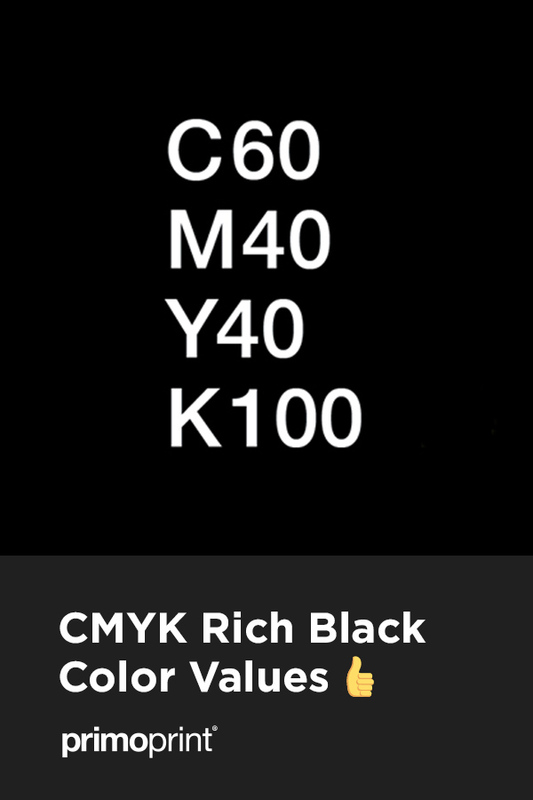 The issue with using C75, M68, Y67, K90 is that it will not print a true rich black. That configuration is the result of converting true black in RGB to CMYK. The print result will generally be muddy due to the oversaturated color build. For the best results, we recommend using the values listed in the above chart. Have any questions? Feel free to contact our excellent customer support team for further assistance. NextCMYK vs RGB for Printing; What’s the Difference?